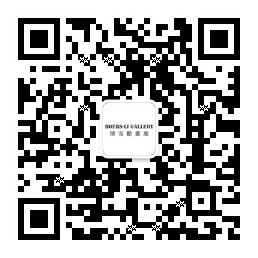 Boers-Li Gallery is pleased to announce Xue Feng’s third solo exhibition, “The Tranquility Series – new paintings” opening on the March 19th. This is his 3rd solo show in the gallery, after “Flashback” in 2011 and “Enclosure” in 2013. Xue Feng is one of the young emerging artists born in the 70’s generation who is able to consolidate his promising and ambitious position. 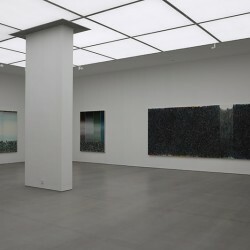 Best known for his dark atmospheric canvases, where dense layers of brushstrokes exude a somewhat unnerving sense of excessiveness and loss at the same time, Feng brings, in a challenging manner, together two of the most defining and opposing painting traditions: Chinese traditional landscape painting and experimental western modernism. This has resulted in an unprecedented, authentic visual language which is conceptual and visually articulated. 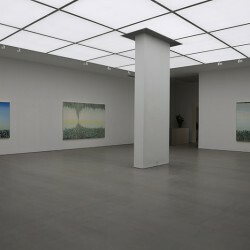 His work is recognized globally and part of prominent collections in China and beyond. 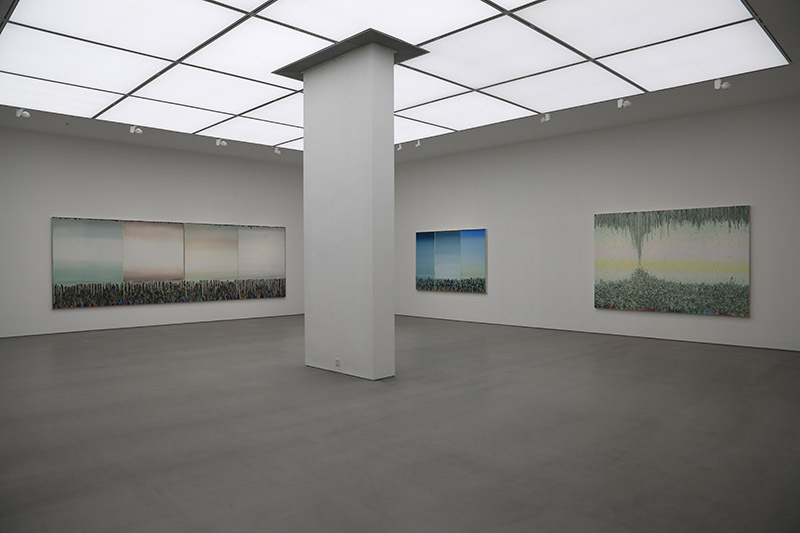 In his first solo exhibition “Flashback”, Feng deconstructed the visual recourses of his works. 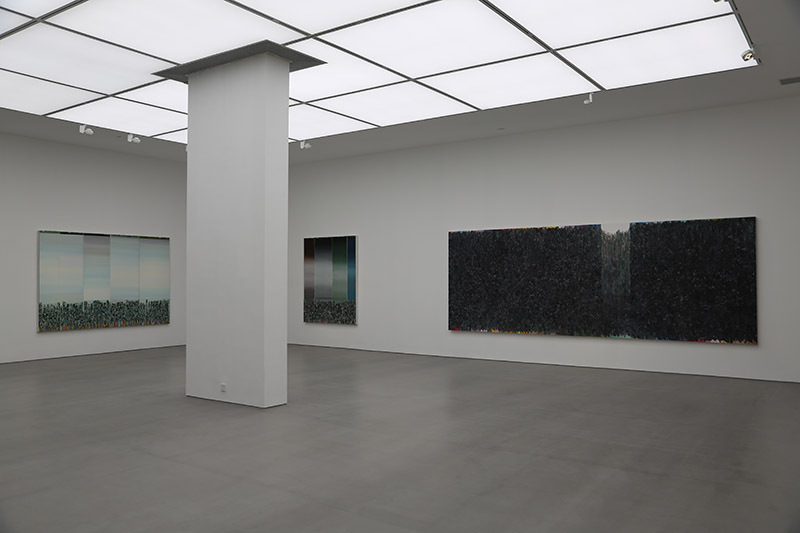 In these work the fundamentals of “the brush” of Chinese painting and the “color palette” of western abstract expressionism are brought together in strong spatial compositions. Here Feng re-discovered the essential “structure” of his paintings, which resulted in the defining quality of each of his paintings. 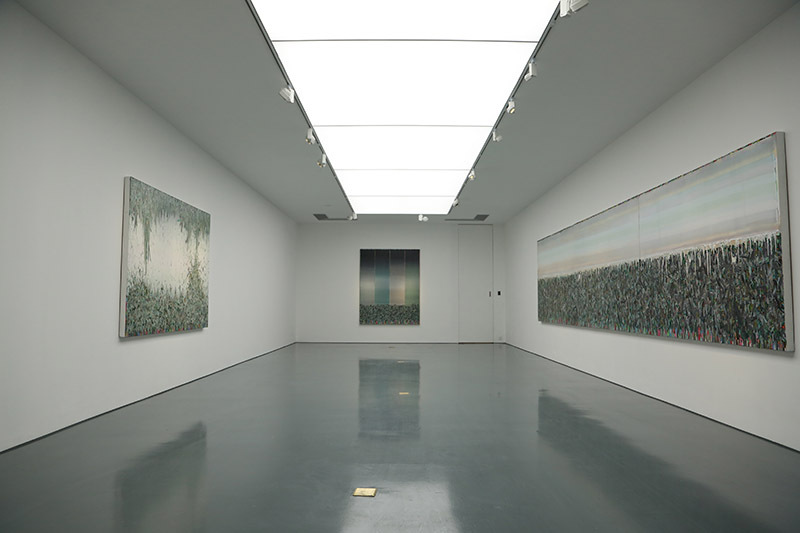 Xue Feng continued his research into the core of global painting with the series of his second show “Enclosure." He simplified the basic stroke and color, induced from both the boundaries of the flat surface and spatial limitations of painting. The anti-illusional, aesthetic approach was ignited and revealed by the artist's sensibility to the avant-garde perception. 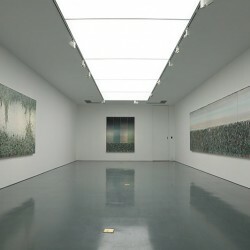 In "The Tranquility Series," made over the past year for his upcoming solo exhibition in the gallery, the artist strives to create a balanced exposure of “rational construction” and “emotional impact.” Space, as a defining component of painting, is in these series constructed less by direct references to “landscape” or art historical style definitions than through an enhanced treatment of the surface of each painting conveying a balanced structure of dense brush strokes and a spacious void of translucent paint. In these series, which Feng sees as "a decisive departure from night to day”, he transmit a joy in painting, both vibrant and imaginative. This all is coming together most expressively in his bigger works, the so-called "panoramic panels." 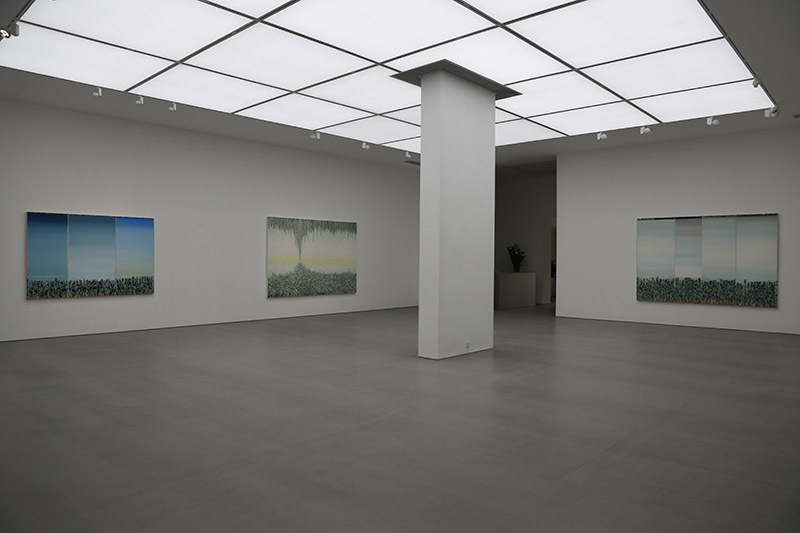 Sized over five meters long, these conclusive works are showing Xue Feng at his best. 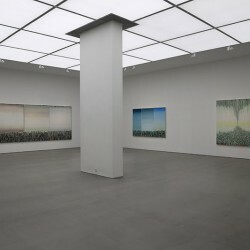 Comprised in these stretched long paintings and through his elaborate, personal approach, one experience his rich and balanced vocabulary based on the essence of "painting" and "landscape" - in tranquility.